HPPSC Himachal Range Forest Officer / Forest Guard Admit Card 2017 - HPPSC RFO Call Letter 2017 Check Exam Date – Himachal Range Forest Officer / Forest Guard Interview Call Letter 2017 - www.hppsc.hp.gov.in. The good news is that HP Forest Guard admit card has been released on official website. 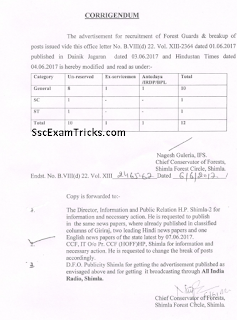 The reporting time and venue of examination is mentioned in the admit card. The Forest Department of Himachal Pradesh has all set to declare the exam date for Range Forest Officer exam which is expected to be available very soon. The online admit card will be available soon at www.hppsc.hp.gov.in. Earlier, the online applications for Himachal Pradesh Ranger Forest Officer (RFO) was submitted from 23rd March to 11th April 2017 on website www.hppsc.hp.gov.in. Huge numbers of applicants had applied for these posts. The final selection of candidates will be based on written exam and personal interview. The written exam will be of 600 marks and interview will be of 100 marks. The date of exam will be informed very soon on the website and HPPSC RFO Admit card 2017 will be available about 20-22 days before the exam date. 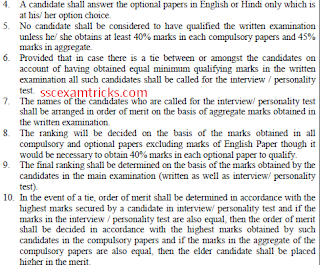 The cut off marks/qualifying marks in written test are mention in the image given below. The written exam marks will be evaluated for successful candidates. 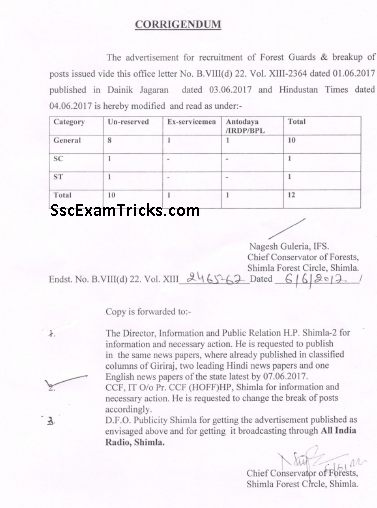 The cut off marks will be considered to shortlist the candidates for the interview. The interview date will be declared after the result and scorecard released by the board. The interview call letter for Himachal RFO Recruitment2017-18 about a week before the schedule of interview. The interview call letter can downloaded from link discussed in the end of the page. Those candidate who have submitted their online application forms and ready to attend the examination, they can download their online admit card from direct link given here. · Candidate go to the official website at www.hppsc.hp.gov.in. · Click on the apply HPPSC RFO recruitment 2017. · Read all the notification before applying. · Click on the notification link. · Press the related advertisement link for applying. · Click on sign up for new registration. · Fill all the details carefully. · After fill all click on the submit button for submit your application form. · Click on the download admit card link. · Downloads admit card link below apply online link. 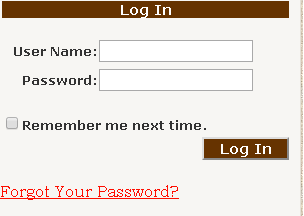 · Enter the user name and the password. · Press the login button. · Print the admit Card of the candidates.